In the information age, the update speed of electronic products is accelerated. In one hand, the popularity of computers, mobile devices, portable devices and other products has made people's demands on electronic products higher and higher, which means that the performance of products must be improved in order to meet people’s requirements. 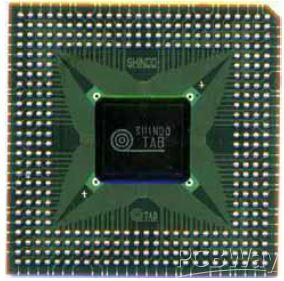 The feature size of IC chip should be smaller and smaller, and the complexity should be increased. That is to say, the number of I/O in the circuit should be increased, and in the meanwhile, the density of I/O will be increased continuously. On the other hand, the requirements for circuit packaging are also more stringent. In this case, if the manufacturers still adopt the QFP packaging technology by increasing the number of I/O and reducing lead spacing, which cannot meet the requirements of the development of electronic products. 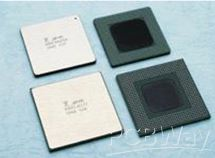 Therefore, Ball Grid Array (BGA), Chip Scale Package (CSP), Direct Chip Attach (DCA) and other technologies have emerged. Among them, BGA packaging technology is a kind of microelectronic packaging technology which has been developing rapidly and widely used at home and abroad in recent years. BGA packaging technology began to be applied in the 1990s. Now it is mainly applied to the packaging of high-end devices, with considerable development space. BGA is a kind of encapsulation technology in which many spherical convex points distributed in array form are soldered on the bottom or upper surface of the module. Among all the packaging typed of semiconductor IC. During the five years from 1996 to 2001, BGA packaging experienced the fastest growth. In 1999, the BGA had a production capacity of 1 billion but the technology was still limited to the packaging of high-density, high-performance devices, and the technology was still developing toward detailed distance and high I/O number. In the information age, the , microprocessor/controller, ASIC, gate array, memory, DSP, PDA, PLD and other components. There are many types of BGA packaging, the general shape structure is square or rectangular. According to the arrangement mode of solder ball welding, it can be divided into peripheral type, staggered type and full array type BGA. A. Good thermal match with PCB board. B. During reflow soldering, the self-aligning of the solder ball, that is, the surface tension of the solder ball, can be used to achieve the alignment requirements between the solder ball and the pad. The disadvantages of PBGA packaging are that it is sensitive to moisture and is not suitable for packaging of devices with high requirement of air tightness and reliability. A. Good air tightness, high humidity resistance, and high long-term reliability of packaging components. B. Better electrical insulation performance than PBGA devices. C. Higher packaging density than PBGA devices. D. Better heat dissipation than PBGA devices. A. As the CTE of the ceramic substrate and PCB boards differ greatly, the thermal compatibility is poor, and welding fatigue is the main failure form. B. Compared with PBGA devices, packaging cost is high. C. The difficulty of solder ball alignment at the packaging body edge increases. TBGA is a cavity structure. There are two ways of interconnection between the chip and substrate encapsulated by TBGA: inverted solder bonding and lead bonding. The chip is connected in the flexible multi-layer wiring belt. The circumferential array solder ball used as circuit I/O end is installed under the flexible carrier belt. Its thick sealing cover board is a radiator (heat sink), and also plays the role of strengthening the encapsulation body, so that the solder ball under the flexible substrate has better coplanability. Chip bonding on the copper heat sink of the core cavity. The bonding leads of the chip bonding pad and the multi-layer flexible wiring ad are used to realize interconnection. The circuit chip, lead, and flexible load pad are encapsulated with a sealant. A. The flexible loading belt of the packaging body and the thermal matching performance of PCB board are good. B. During reflow soldering, the self-aligning of the solder ball and the surface tension of the solder ball can be used to achieve the alignment requirements between the solder ball and the pad. C. Is the most economical BGA packaging. D. Better heat dissipation performance than PBGA structure. B. Multistage combinations of different materials have adverse effect on reliability. 1) More I/O. Since BGA encapsulated solder balls are arranged under the encapsulated substrate in the form of array, the number of I/O of the device is greatly increased, the size of the encapsulation body is reduced, and the space od assembly is saved. 2) High packaging yield reduces cost. 3) The contact surface between BGA’s array welding ball and substrate is large and short, which is conducive heat dissipation. 4) The pin of BGA array welding ball is short, which shortens the signal transmission path, reduces the lead inductance, electrical resistance and improves the circuit performance. 5) Improve the coplanability of I/O terminal and reduce the loss caused by poor coplanability in the assembly process. 6) BGA is suitable for MCM encapsulation and can achieve high density and high performance of MCM. 7) The IC of BGA and fpBGA is stronger and more reliable than the foot-shaped package of detail spacing.